Xbox Positioned As Public Entertainment Platform ~ " World Information "
WASHINGTON - Microsoft plans to reposition the Xbox as a platform for more general entertainment, rather than gaming. This is done by reason of 40 percent on the Xbox 360 activity associated with non-gaming entertainment. 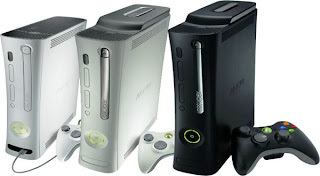 Frank Shaw, vice president of Microsoft, claiming that the Xbox 360 console now has approximately 30 hours of video consumption each month. Even so, these numbers seem to only apply in North America alone. Similarly, as quoted from Tech Radar, Saturday (04/06/2011). "Vision from the Xbox is quite clear: we offer all types of entertainment you need. That's why users of this year will see the Xbox is marketed more as an entertainment brand,"explained Shaw. However, later in the E3 gaming conference, Microsoft still will emphasize the Xbox as a special platform gaming technology. "Why do we invest in the user interface display technologies such as gestures and touch? Because we want to make the entertainment experience becomes easier and more enjoyable," he said. In the UK, Microsoft is making a movie download service via Xbox. Until now, Microsoft is still in the process of negotiations to bring the Netflix service in Europe.